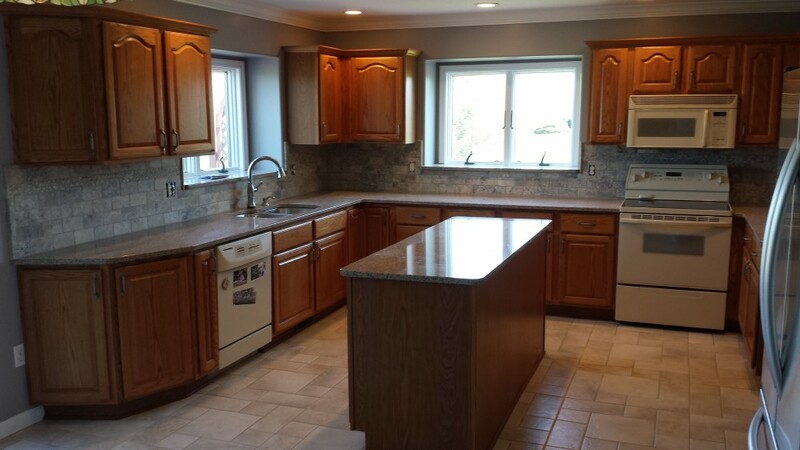 The cabinets were in great shape, but the counter tops and paint dated the kitchen. The counter tops were replaced with quartz - LG Palermo. The tile is 3x6 tumbled Travertine with Listello and pencil rail.